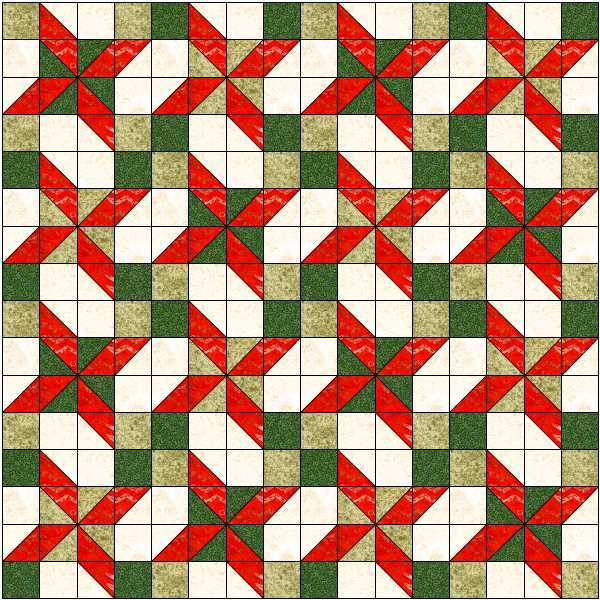 Clay’s Choice is another block with just squares and half-square triangle units. 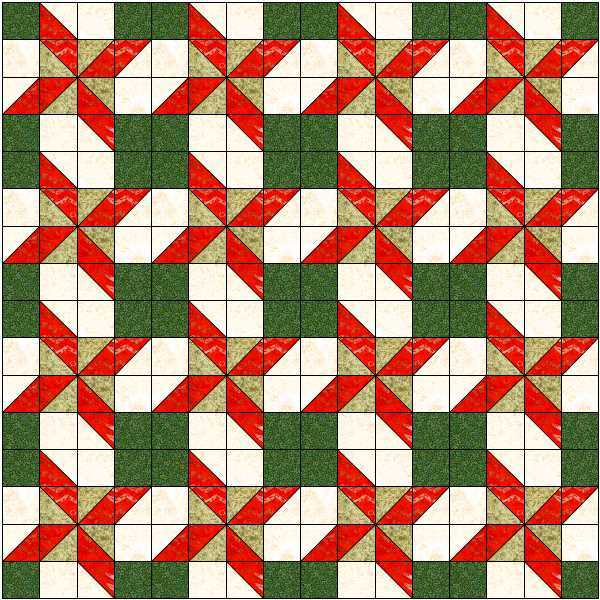 The instructions given are for a 12 inch block as this block is a 4-patch – that is, it has 16 small (4 large) units. 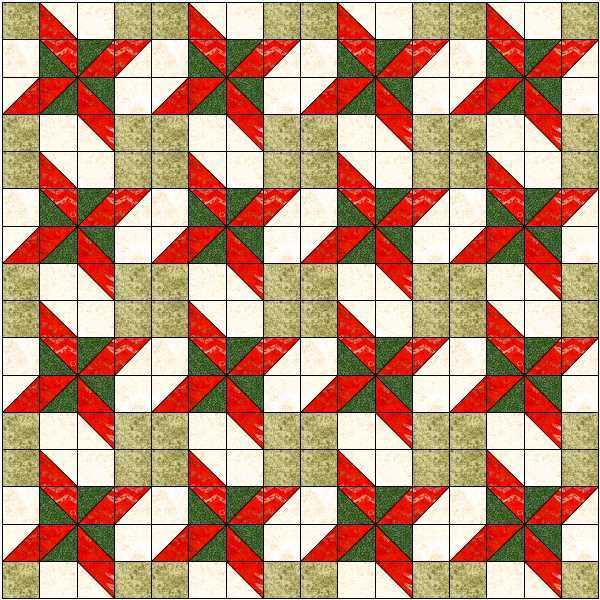 Making 4-patch blocks at 12, or 8, inches (or even 16) makes the maths a lot easier. What happens of we swap the light and dark green over? And if we alternate these colourings? It suddenly looks a lot more interesting. You can find further ideas in the instructions. 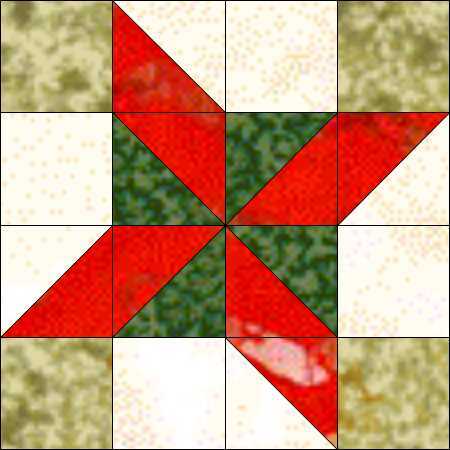 This entry was posted in beginners patchwork, free pattern, machine piecing, patchwork patterns and tagged Clay's Choice block, free pattern, quilt blocks, simple patchwork on December 15, 2014 by Chris.